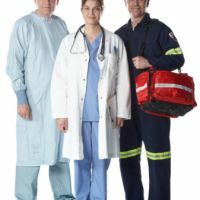 Whether you are an individual wishing to become a CPR & First Aid instructor or a company wondering if it is cost effective to conduct in-house CPR & First Aid training, the information in this article will provide you with a good idea of the time and monetary commitment necessary to become or train an American Heart Association CPR & First Aid instructor. *AHA Adult, Child, Infant CPR/AED & First Aid Training: To become an American Heart Association Heartsaver CPR/First Aid Instructor, potential candidates must have a current American Heart Association Adult, Child, Infant CPR/AED & First Aid provider certification card. If they do not have a current card, the training to obtain a new one takes 4.5 hours to complete through CPR Seattle. **American Heart Association Instructor Essentials Online Course: Upon course registration, instructor candidates will receive an "American Heart Association Heartsaver Instructor Essentials Online" course access key. This online program must be completed at home before the day of the instructor training course and takes about 2 hours to complete. Instructor candidates must have the Heartsaver Instructor Manual on hand to complete this online training. ***Practing CPR & First Aid Skills, Reviewing Video, Reviewing Skills Check Forms: Instructor candidates must do additional preparatory work for their instructor course by insuring they are both proficient with their own skills and able to effectively evaluate the skills of others. 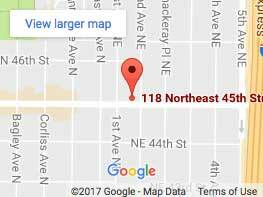 CPR Seattle encourages instructor candidates to audit additional CPR and first aid classes conducted at our facility at no extra charge. ****Instructor Course Monitoring: After the instructor training, candidates will be monitored teaching portions of an actual CPR class at CPR Seattle. This session usually takes place two or more weeks after the instructor training course, and must be completed within 6 months of taking the instructor course if the candidate cannot make any of the pre-scheduled monitor dates. The American Heart Association requires that student maintain their Heartsaver CPR & First aid certification card current in order to teach. This, in addition to taking the Heartsaver Instructor Renewal course will be done once every two years. Please visit our Heartsaver Instructor Renewal page for current rates. Between renewals Instructors must read all correspondences from their Training Center as well as from the American Heart Association throughout the year. 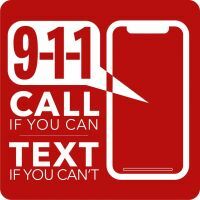 Every five years instructors will be required to take an online update when the new CPR and first aid protocols are released. If you have any questions about our Heartsaver Instructor training program, feel free to give us a call at 206-504-3280, or email us at cpr@cprseattle.com.